IKS locksmiths – Your locksmith Hendon specialist! At IKS locksmiths we know the importance of protecting your home and business, we are the Hendon locksmiths you can trust and rely on! 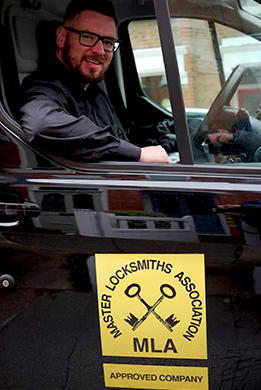 We are North London locksmiths and offer a professional 24 hour mobile locksmith service in the Hendon and Colindale area. We respond fast to any security and emergency issues in the Hendon area. Our team of Hendon locksmiths are here to help you. IKS offer a professional mobile locksmith service, round the clock, in both homes and commercial properties in Hendon. Our team of locksmiths in Hendon provide a quick repsonse in emergency situations accross the Hendon and local areas. Call us anytime as we offer a 24 hour service. We don’t charge call out fee! Our professional fully qualified locksmiths,are ready with fully stocked vans for maximum efficiency! We are on call for emergencies at any time of the day or week. We are locksmith Hendon specialists and as soon as you confirm you want to go ahead with an agreed price our locksmith will be sent without delay to your address in Hendon. We run an efficient and reliable emergency locksmith London team and our high quality 24 hour emergency locksmith service is excellent value for money, as backed up by our customer reviews. We value our customers and their security is key! A complimentary security survey with IKS will help you establish any gaps in your security and how they can be addressed. A survey enables our expert Hendon locksmiths to suggest which products are most suitable for a particular customer. It allows us to present the customer with the varying options to suit a range of budgets. Please do call us on 07947 426 981 to discuss our locksmith Hendon services. We would be happy to arrange an appointment for one of our team to meet you at your property for a thorough analysis.